August is National Immunization Awareness Month. As we reflect on the past year and the continuing struggle to maintain the legitimacy of immunizations as a scientifically-proven defense against infectious disease, ABIM would like to re-share Dr. Jeanne Marrazzo’s post on the recent measles outbreak. “This outbreak showed that preventing disease requires all of us working together,” said Minnesota Health Commissioner Dr. Ed Ehlinger in a recent statement. 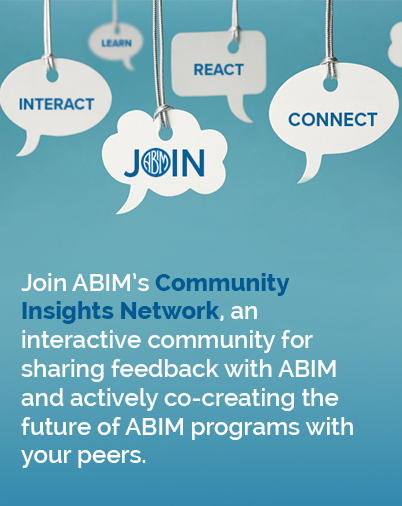 The Physician Charter, of which the ABIM Foundation is an author, articulates the professional responsibilities of physicians, including a commitment to scientific knowledge. It is under the banner of professionalism that the medical community can play a role in increasing immunization awareness and promoting public safety by addressing concerns about medical misinformation. Use #immunizations to join the discussion online! At a time when measles seems long forgotten, false information about vaccines directed at vulnerable populations is breeding fear, confusion and even disease. Just look at what is happening in Minnesota, which is experiencing the largest measles outbreak in 30 years. A campaign to spread misinformation about the safety of the measles vaccine preceded this outbreak, contributing to declines in vaccination uptake. 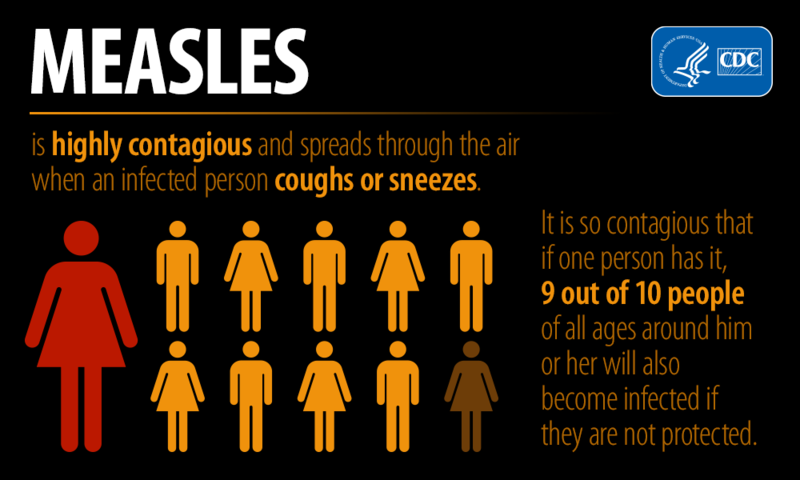 Now, dozens of young children who were not vaccinated have measles. A swift and often merciless threat we thought was under control is needlessly re-emerging. A few decades ago, physicians regularly diagnosed measles as millions would become ill each year and thousands would require hospitalization. Tragically, hundreds would die or would suffer lifelong complications, including deafness and cognitive disabilities. Since children are particularly vulnerable, parents and caregivers longed for a simple way to prevent the fast-moving illness. More than 50 years ago, a breakthrough occurred – a measles vaccine and inoculation program was created at the same time the infectious disease field was being recognized as a separate medical specialty. Vaccinating babies has been recognized as a safe and effective way to quell the spread of the disease, and vaccination rates in the US are now higher than 90 percent. Though vaccines are not readily available in all countries and measles still spreads through travel, annual U.S. cases dropped into the hundreds. The threat became a distant memory for most people and infectious disease physicians focused on new life-saving treatments in a rapidly changing world. However, certain populations are again at risk both in this country and others due to the spread of an equally serious threat – misinformation. With new measles outbreaks, more physicians, scientists and health care workers are spending time practicing 1960s-era medicine, re-deploying an already proven vaccination campaign and, scariest of all, watching children needlessly suffer. It’s hard to imagine another area of American life taking such a step backward. Doctors—especially infectious disease specialists—confront deadly illnesses on a regular basis but measles has not typically been a regular occurrence for today’s practicing physician. I myself have seen only a single case of measles, but patients I do see are sometimes misinformed or frightened by something they may have read online about any number of diseases. As a medical community, we need to be prepared to deal not only with the rampant spread of disease, but also with the rampant spread of misinformation. We need to take the time to be a trusted ally in health care and help patients questioning life-saving medicine understand the science and evidence behind treatment options. Addressing this quickly and with skill will allow us to remind people of how the measles vaccine is a miracle of modern medicine—and to maintain the bandwidth to work on the next miracle to keep more people safe in the future. Dr. Marrazzo is Professor of Medicine and Director of the Division of Infectious Diseases at the University of Alabama at Birmingham. She is the Chair of the American Board of Internal Medicine (ABIM) Council, and also chairs the ABIM Infectious Disease Specialty Board. She is board certified in Infectious Disease.